Apple has a few restrictions when it comes to apps in the App Store. It doesn’t allow video game emulators, bittorrent clients and screen recorders. 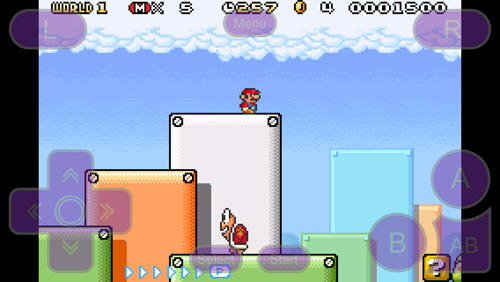 Usually the only way to get them on your iOS device is to jailbreak your device. There is a way to sideload apps without jailbreaking, using Apple’s Enterprise Certificate, which allows companies to sideload their private apps. By obtaining one, developers can easily install their non-Apple-approved apps on iOS devices. Using this method, many developers have started releasing apps without the use of the App Store. A website called iEmulators.com gathered these apps and have set up a way to install them on your iOS device, all through the web browser. Below we will show you how to easily install a sideloaded app on your device. 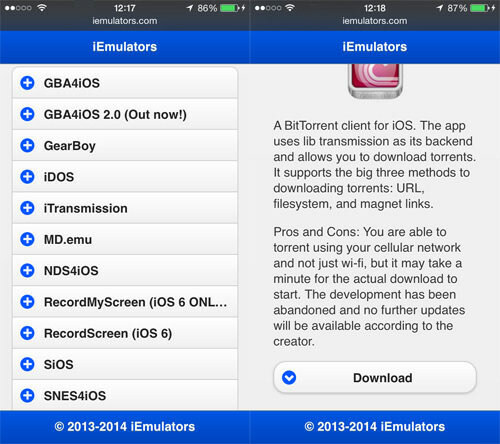 Firstly, go to the iEmulators home page with your iOS device. From here you can choose an app you would like to download to your device. Open it and tap "Download" or follow the link if it’s an external site. If a prompt appears, confirm your download. If it does not, you will need to change the Date & Time (instructions in the next section), then press "Download" again for it to start. Note: After downloading the app but before you open it, you need to change the date & time of your iOS device. The OS will confirm if the app is using a valid enterprise certificate based on the certificate’s time stamp. This date will be different, depending on the app you have downloaded (refer to the individual app instructions for the proper date to set). Go to Settings > General > Date & Time and switch it to an earlier date, and turn off Set Automatically. Then, open the app. 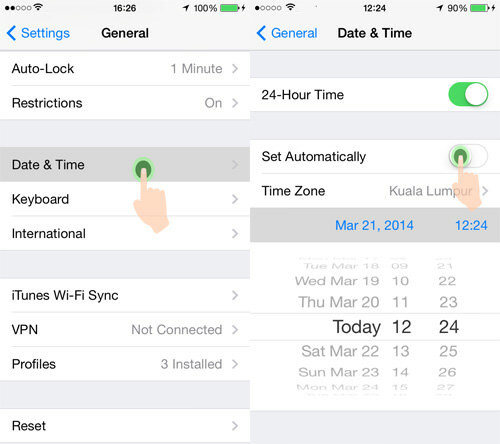 Next, toggle Set Automatically back ON within Date & Time to restore your device to the current date. If all goes well, your brand new, sideloaded app will now be on your non-jailbroken iOS device. If your app stops working, try setting your time back to 2012 and reopen the app. This may be needed every once in a while to keep the app in working order. You should now have a side loaded app on your device. The site contains a plethora of video game emulators as well as a few apps that some may find useful, such as the ability to use bittorrent on your device. Installation may not work sometimes, so you may have to try several times before it successfully installs. It’s not perfect but it’s currently the only way to sideload apps on iOS sans jailbreaking.